Bali Hotel Mara River Safari Lodge offers unique experience that guests can feel like staying in Africa. From the lodge, wild animals' life can be seen. 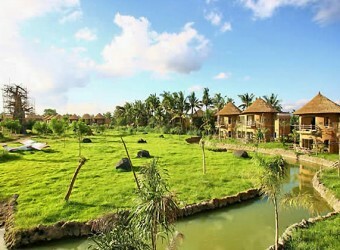 Guests also can enjoy Safari & Marine Park, and it is one of the recommended hotel for family with small children. 3 days 2 night package is reasonable.